There can be many causes of the disease. Diabetes, high blood pressure, hepatitis, infection, incorrect or over medication and injury are the most common causes. Obstruction of urinary passage in men could be due to enlargement of the prostate but this does not fall in the category of kidney diseases. Urinary complaints are not restricted to any particular age group. Anyone and even the children can have problems like hematuria or burning of urethra et cetera. Pain in the kidneys can occur even without burning of urethra or hematuria which condition calls for proper diagnosis. Hematuria is the condition in which blood comes with the urine. Minor hematuria may not be visible with naked eye but examination under a microscope shows high number of RBCs. Gross hematuria, when the urine is red can be seen with the naked eye. There can be many causes of hematuria including infection and inflammation of the urinary tract. One of the causes is when the calculus (stone) moves through the narrow urinary tract, its sharp edges may bruise the walls of the tract and cause bleeding, which appears in the urine. In such cases the pain becomes very severe. Whenever color of the urine becomes red, one should consult the doctor. Homeopathic medicines can quickly relieve this condition. This complaint is quite common. Burning pain can occur before, during or after passing the urine. In some cases burning can occur in all the three conditions. Burning may also continue till long after urination. While there can be other reasons, usual cause is infection and inflammation of the urinary tract. 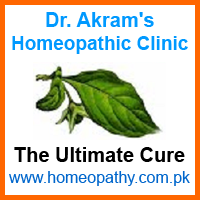 Homeopathy can easily cure this condition particularly if it occurs in isolation and has not yet become chronic. With correct homeopathic medication, it should clear off in few days unless there are other complications associated with it. Chronic condition might take longer to resolve.